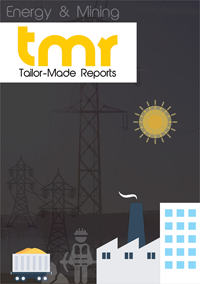 The global industrial boiler market is driven by the presence and development of various projects of ultra-mega power in the developing economies, especially in countries such as China and India, where the population is extremely high, resulting in an increased demand for power consumption. Ultra mega power projects are also increasing across countries on account of the regulations imposed by various environmental bodies, which encourage industries, especially in the power generation sector to take strict measures so as to save energy and help in reducing harmful emissions. During the forecast period of 2017 to 2025, the global industrial boiler market will be driven by the growing need to improvise the combustion efficiency of biomass, making use of new materials. The reduction of cost of biomass boilers as well as enhanced efficiency of the waste are some of the benefits of using new materials in biomass. This in turn will boost the growth prospects of the industrial boilers market. In addition to this, oxygen distribution in boiler bed improves the efficiency and uniformity of combustion, thereby widening the dependence of various economies on industrial boilers. Players within the industrial boilers market are competing with each other on the basis of cost. Key vendors are concentrating their efforts on giving customers reliability, ease of operation, safety, and sustainability. Industrial boilers are closed vessels, basically used for burning fuels such as natural gas and coal for the purpose of providing steam to a stationary engine. The material that the pressure vessel of an industrial boiler is mainly made of is steel or alloy steel or wrought iron in the past. Owing to the risk of corrosion cracking, stainless steel is not employed in the wetted boiler parts. Nevertheless, ferritic stainless steel is employed in the section of superheater that is not exposed to heating water. Growing demand for energy efficient devices along with government regulations and norms are the prime factors influencing the demand for industrial boiler during the forecast period. Moreover, the burgeoning demand for clean energy fuel is further expected to trigger the need for industrial boilers over the coming years. According to the United States Environmental Protection Agency, over 21% of the global greenhouse gas emissions is from industries. Greenhouse gas emissions from industries include mineral transformation, metallurgical, and chemical processes which are not linked with energy consumption and waste management activities. The growth of the industrial boiler market is likely to be supplemented by the positive outlook of food processing and chemical industries towards emission reduction. Government measures taken up to decrease the level of carbon emissions is expected to boost the growth of the market in the coming years. The EPA has further implemented several regulations and rules such as national emission standard for hazardous air contaminants in order to mitigate the impact of toxic gas emissions which is released during furnace operations. It is aimed at protecting the environment from the adverse impacts of air pollutants by implementing maximum allowable concentration if contaminants in the ambience. Degrading performance coupled with a gradual rise in the operation and maintenance cost is leading to the replacement of installed boilers with advanced industrial boilers. Rising fuel prices is expected to further augment the demand for high-end heating furnaces. In order to minimize the incurring expenses and optimizing the resources that are available, the deployment of industrial boilers is anticipated to take a leap. Leading companies in the market are focusing on leveraging on the upcoming opportunities from the demand for low-cost, energy-efficient, and reliable products. For instance, a prime company, Cleaver-Brooks Inc. developed a completely integrated set of boilers that received cUL and UL certification after meeting the safety standards defined by Underwriters Laboratories. Cleaver-Brooks Inc. also acquired leading boiler providing companies, Holman Boiler Works and Affiliated Power Services, LP and focused on an aggressive inorganic growth strategy which has been recently gaining traction in the global industrial boiler market. Another leading company, Vapor Power International, LLC acquired all the assets of Tennessee based Precision Boilers, LLC in order to expand its production units. Region-wise, the global industrial boiler market can be segmented into North America, Asia Pacific, Europe, and the Rest of the World. North America is expected to emerge as a prominent region owing to growing demand for efficient energy and robust installation of numerous power plants. Asia Pacific is also likely to present lucrative growth opportunities with growing demand for boilers from metal, refining, chemical, and food industries. Demand for boilers from Indonesia, India, China, and Japan is likely to bode well for the market growth in the near future. Some of the leading companies in the market are Thermax Limited, Mitsubishi Hitachi Power Systems, Ltd., IHI Corporation, Harbin Electric Group, Bharat Heavy Electricals Limited, General Electric, Siemens AG, Babcock & Wilcox Enterprises, Inc., Cleaver-Brooks Inc., and Vapor Power International, LLC.